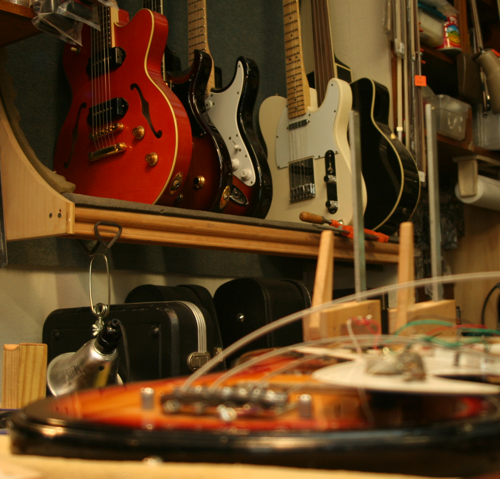 Little d can setup and repair virtually any stringed instrument. Have Gregory Lange build your next guitar or stringed instrument. Come look at Little d's unique collection of strings, accessories, electric and acoustic guitars and basses, banjos, and amplifiers. Little d Guitars is located in Denton, one mile north of the historic square. Do you have an issue with a stringed instrument? C'mon by and let us help you.